The Kate is a loose fitted dress with ankle length. 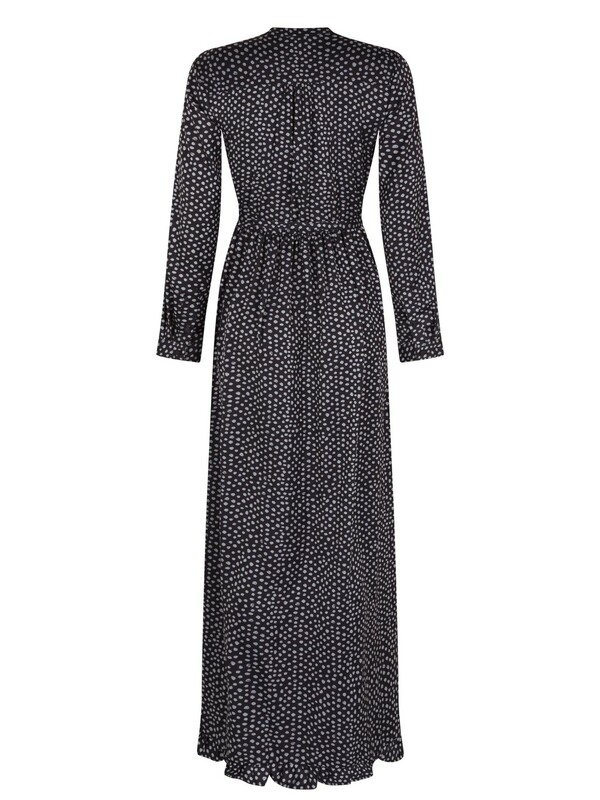 The maxi dress has long sleeves, a high closed neckline and ruffled details. The dress is closed with the help of buttons. This makes it possible to completely style the dress to your own wishes, from high-closed to a light cleavage or to untie the bottom for a summery look. The Kate comes with a bow belt with which the waist can be accentuated.